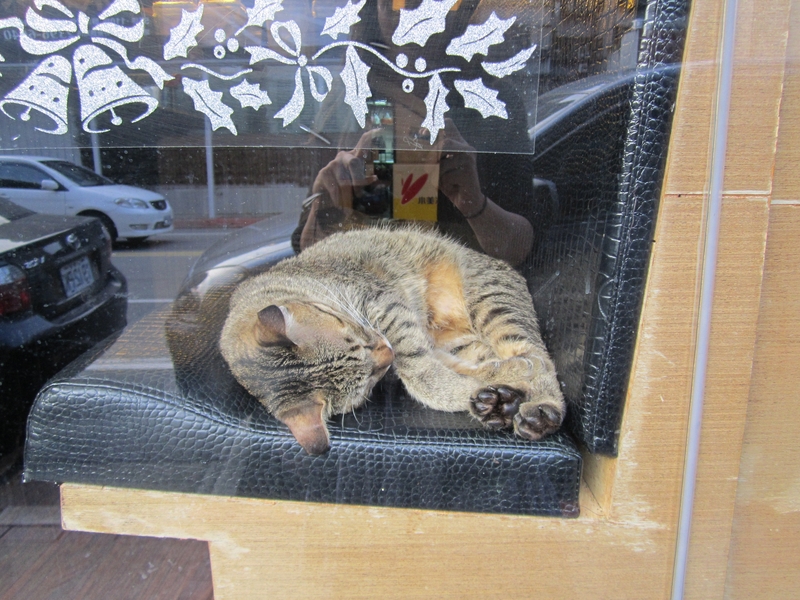 Cat cafe on a winter day, Ulsan, South Korea. 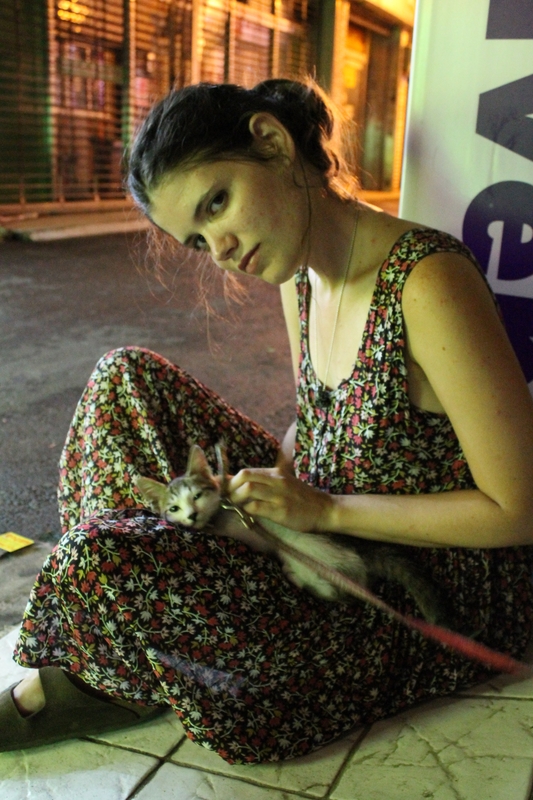 A leashed kitten in Ulsan, South Korea. 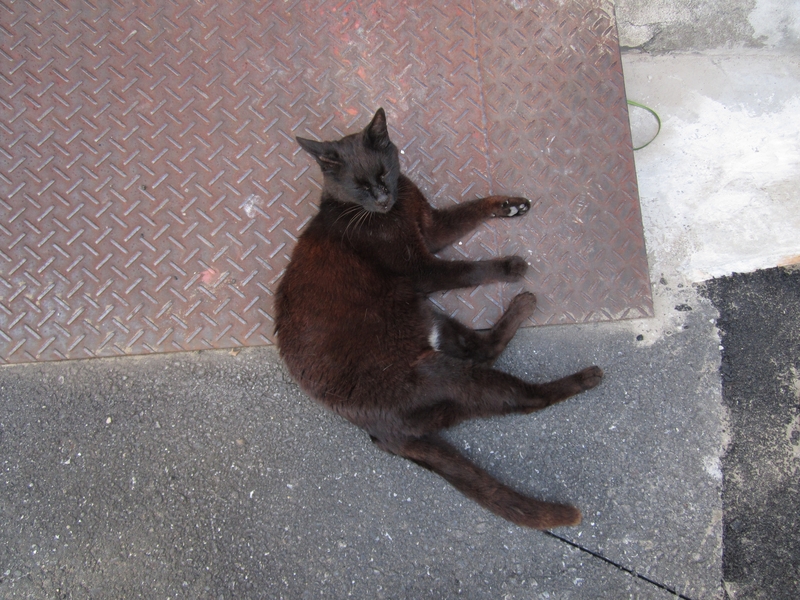 Black cat on the streets of Tokyo, Japan. 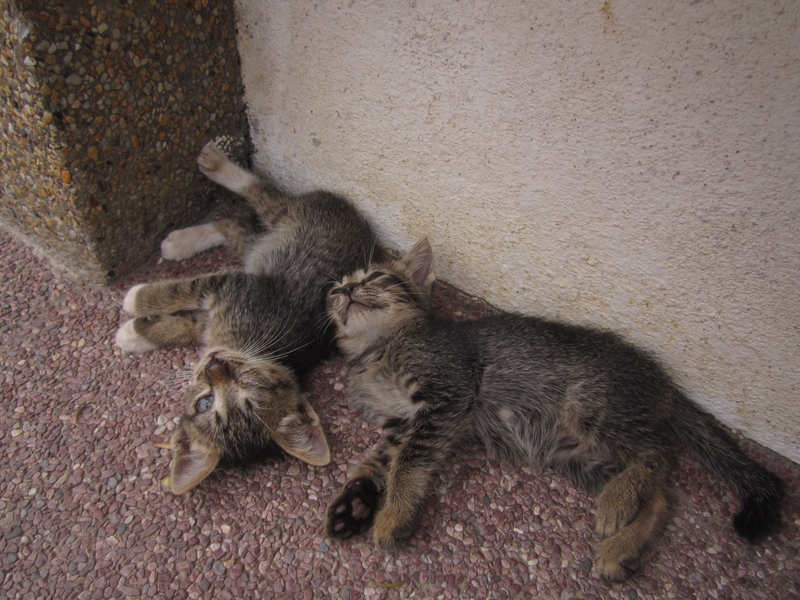 Kittens cooling off under a bench in Malacca, Malaysia. 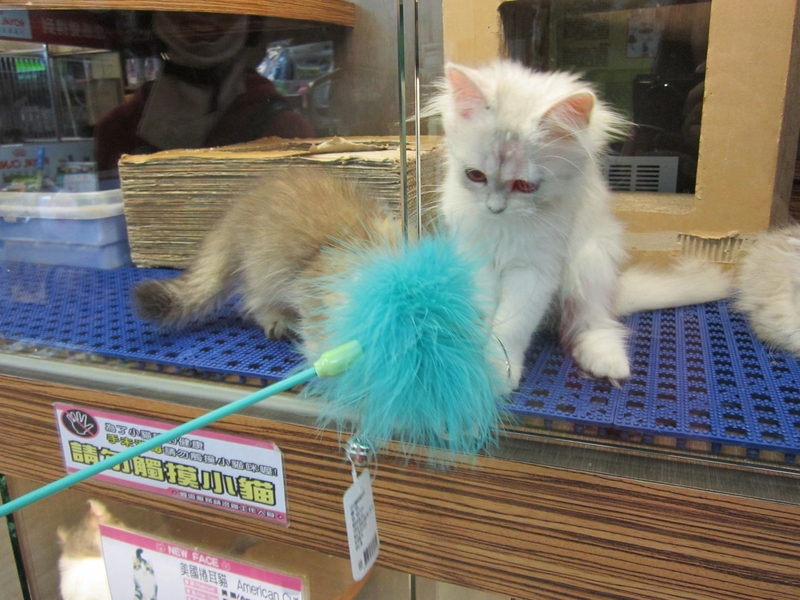 Fluffy cat battles fluffy toy in Taipei, Taiwan. 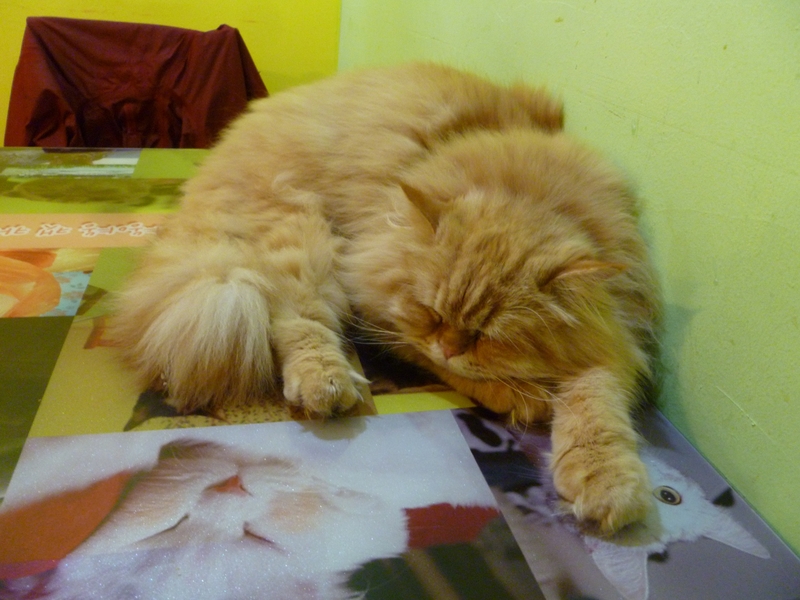 Cat resting in a restaurant booth in Taipei. 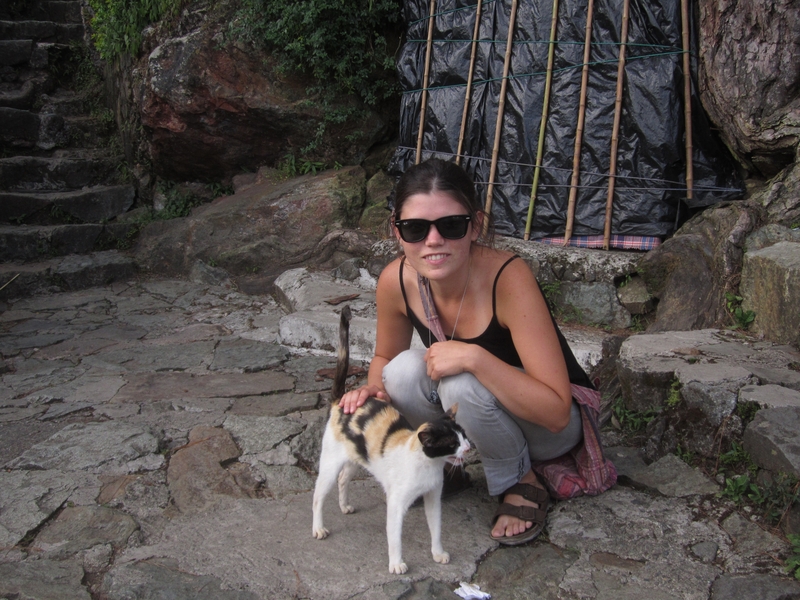 Friendly calico in the Philippines. 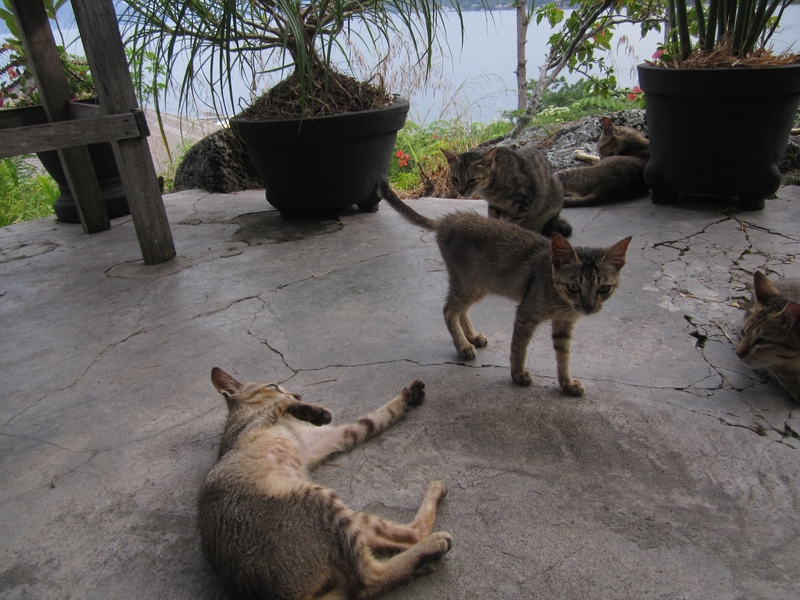 Variations of the same cat in Lake Toba, Indonesia. 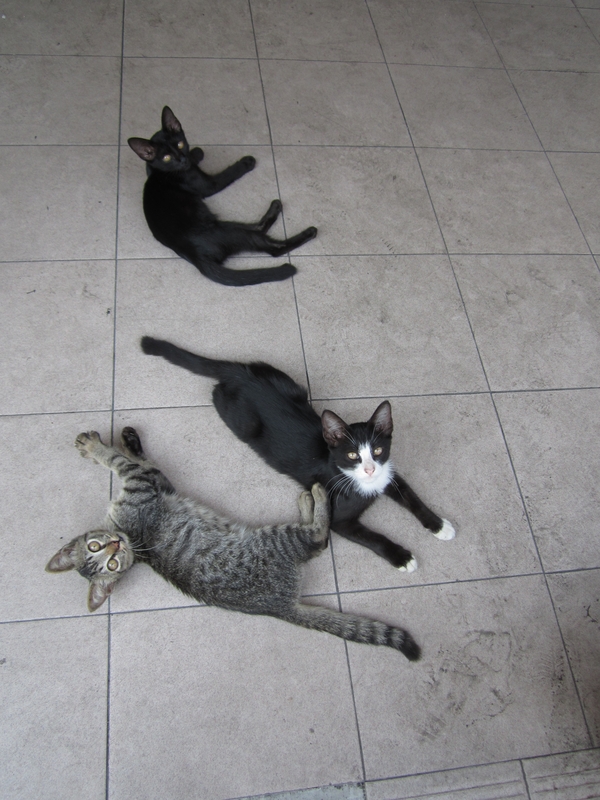 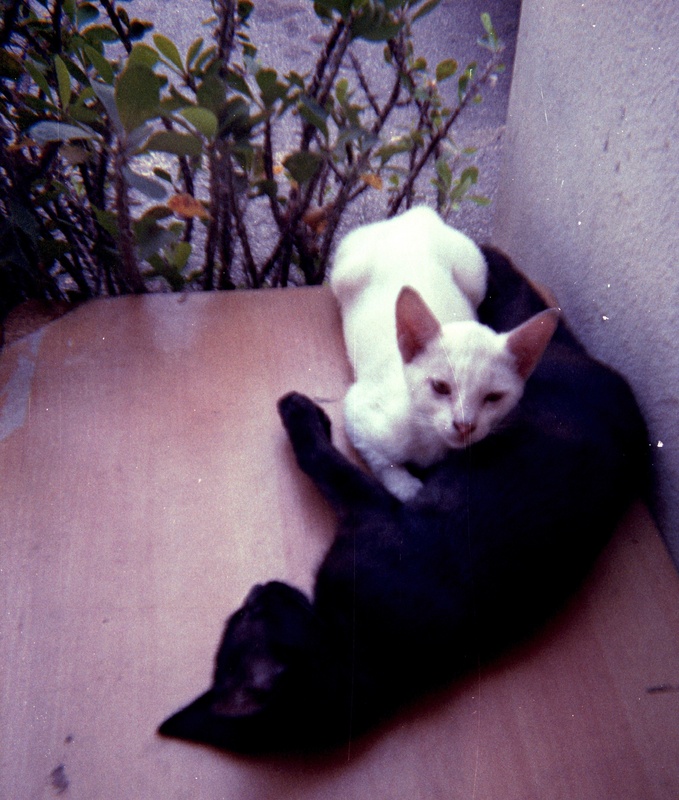 Three kittens in Penang, Malaysia. 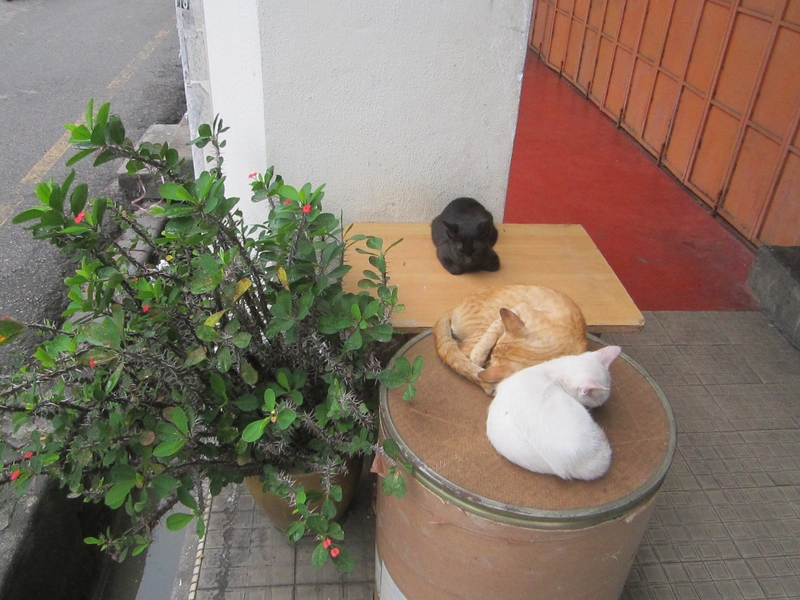 Cats forming a pleasing color scheme in Penang. 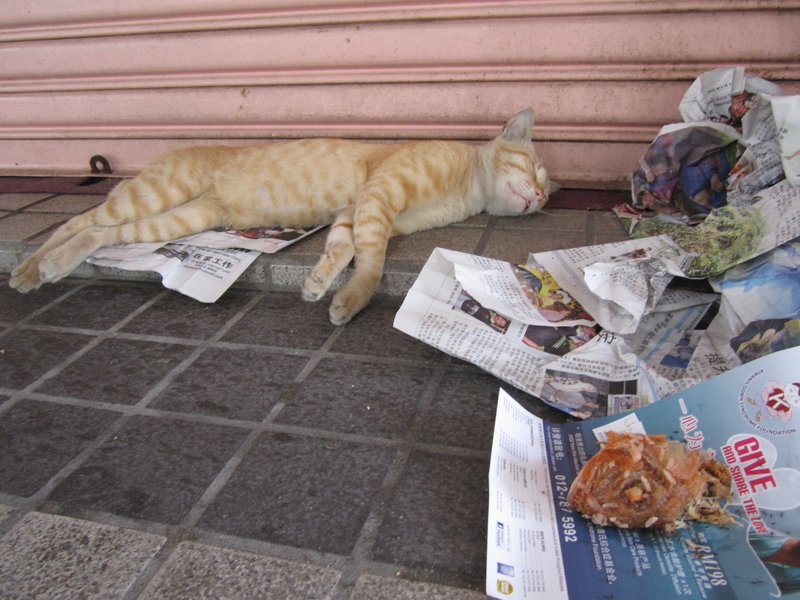 Tabby cat resting by newspapers in Penang. 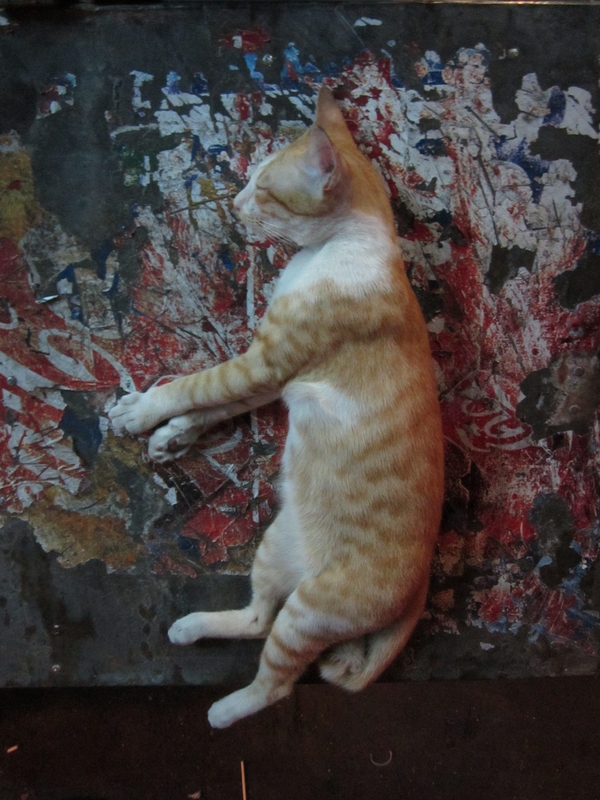 Cat bored by the nighttime street action in Bangkok, Thailand. 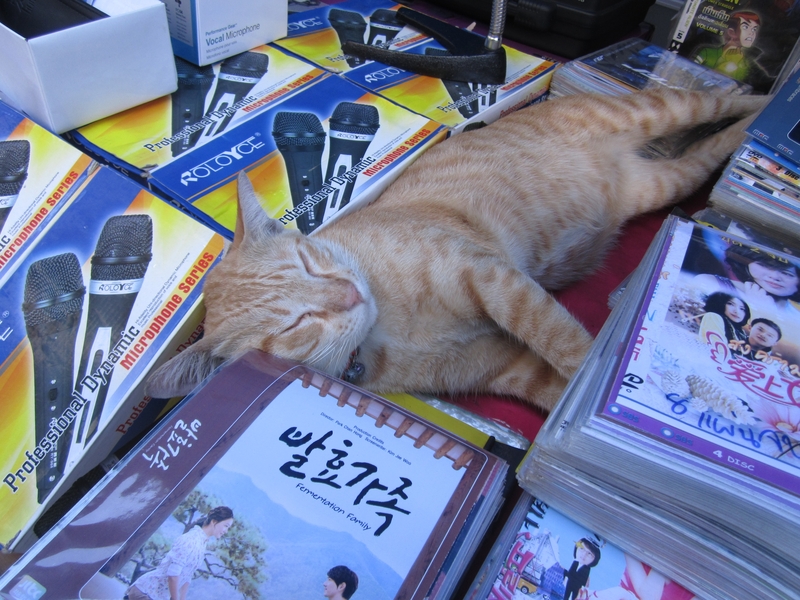 Cat trying to sell some bootleg DVDs and microphones in Bangkok. 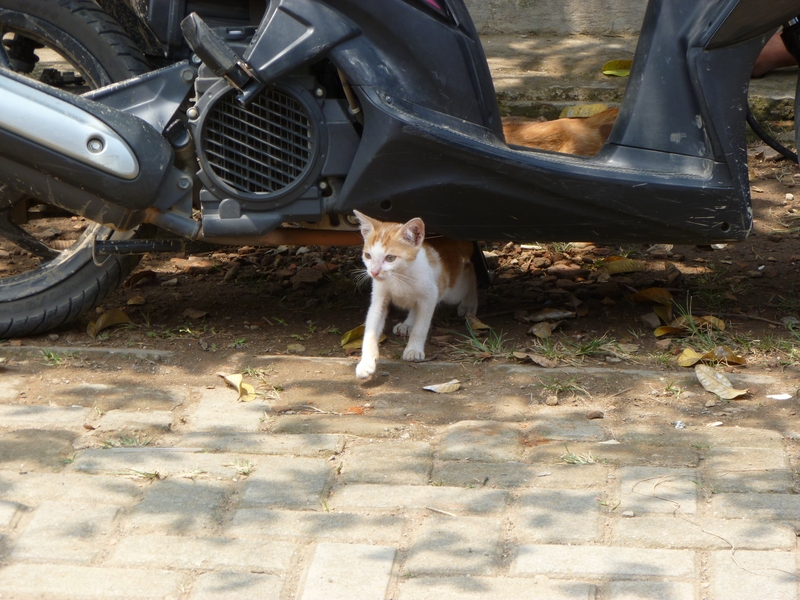 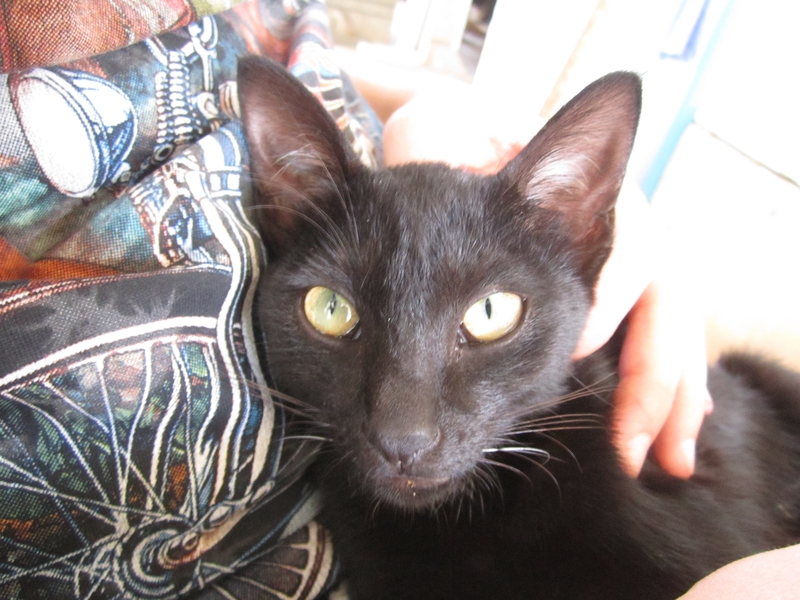 Cozy black kitten in southern Vietnam. 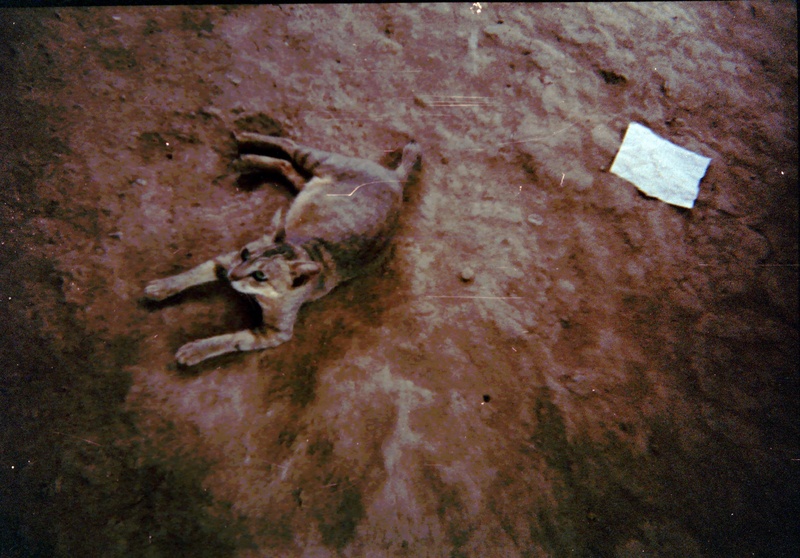 Laotian cat resting on its dirt floor, and simultaneously matching it.